Our newest guest chef over at the cooking club is Ina Garten and this week the assignment’s featured ingredient, “Alliums”. Perhaps I have mentioned that I don’t have a lifetime stash of family recipes so I have gathered numerous meatloaf recipes over the years because Mike loves it, any version of, but today a back to basics recipe that is very tasty indeed with just a few ingredients and features lots of chopped onions. I’ve made this recipe countless times and often double the recipe for one tonight and one for the freezer and of course, you don’t have to grind your own beef, but I prefer to since I can control the amount of fat in the mix and today a combination of chuck roast and a flank steak really makes for a beefy flavor meatloaf…I love brisket as well, but just a bit pricier than flank or flat-iron steak. 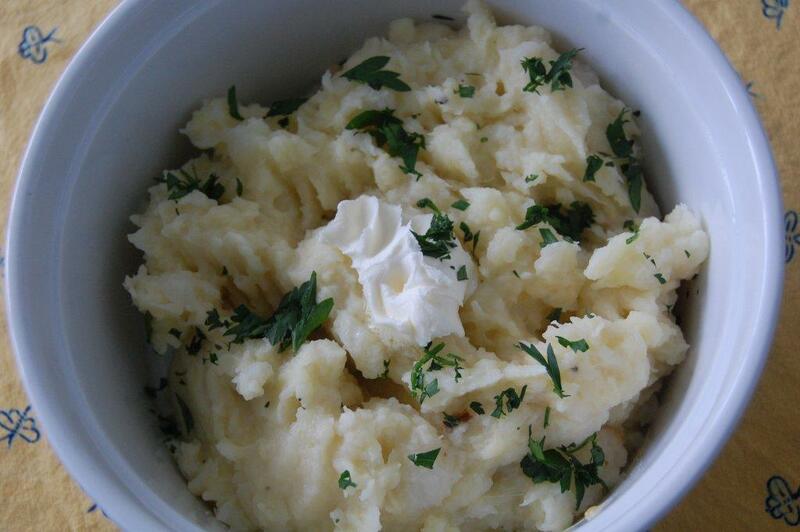 Look for Ina’s meatloaf and garlic mashed potatoes links below. 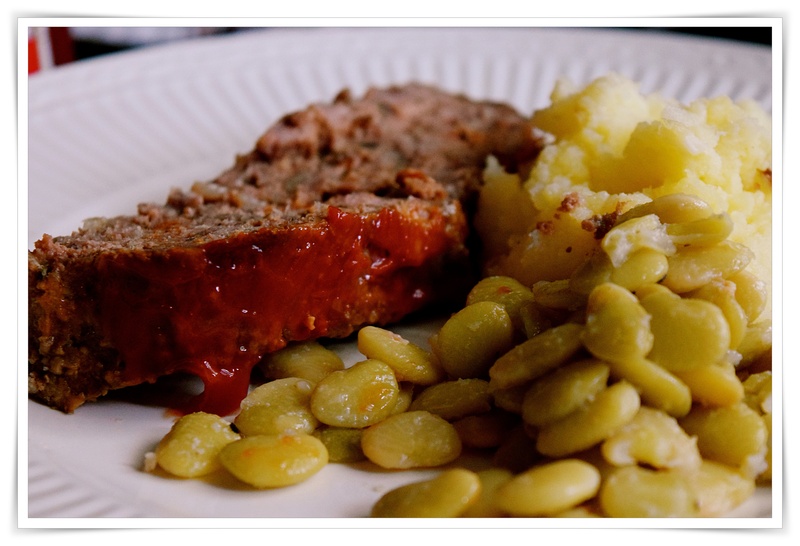 So what goes well with meatloaf, why mashed potatoes and Ina also has a good recipe for garlic mashed potatoes that I made to take the assignment one step further and with a nice pot of fresh butter beans simmering away we settled in for a great comfort food dinner. Sauté the chopped onions, thyme, salt, and pepper in one tablespoon of heated olive oil, stirring over medium-low heat until softened, but not browned, 8-10 minutes remove from heat add the Worcestershire sauce, stock, and tomato paste, allow to cool a bit while you prepare the ground beef blend. Whisk the eggs, sprinkle the bread crumbs over the beef, lightly mix in the eggs and onion mix. Line a sheet pan with a sheet of parchment paper, gently shape the meatloaf and spread the ketchup over the top.Ina suggests placing a shallow pan of water in the oven to prevent the top of the meatloaf from cracking on top and I never tried that before so I did it this time and sure enough, it worked. the meatloaf baked for about an hour or until the meat thermometer temperature reaches 160º…serve hot and with your favorite side dishes. In a small saucepan, bring the garlic and oil to a boil, then turn the heat to low and cook uncovered for 5 minutes, or until the garlic is lightly browned. Take the oil off heat and set aside, the garlic will continue to cook in the oil. Place the potatoes in a large pot of salted water, bring to a boil, and cook for 15 to 20 minutes, until the potatoes are very tender. Remove the potatoes from the water, reserving the cooking water, and remove the garlic from the oil, reserving the oil. I used a ricer to process the potatoes and garlic (Ina suggests using a food mill with the medium disk). Add the reserved olive oil, 2 teaspoons of salt, the pepper, cream, and 3/4 cup of the cooking water to the potatoes and mix with a wooden spoon. Add more cooking water, if necessary, until the potatoes are creamy but still firm. Season to taste and serve hot.